I’ve often told folks that the one band that was at the top of my MUST SHOOT list for a long time was Rage Against The Machine. I saw them a ton in the 90’s (I was at this show and it was BANANAS) and have always wanted the chance to capture their energy through my lenses. The Prophets of Rage show August is probably as close as I’ll come and I am totally fine with that. I know this tour has been getting mixed reviews but I’m very happy to say this show was everything I wanted and more. I’m a HUGE fan of Public Enemy and Chuck D in particular so this was right in my wheelhouse. And I was totally impressed by the performance B Real put in. 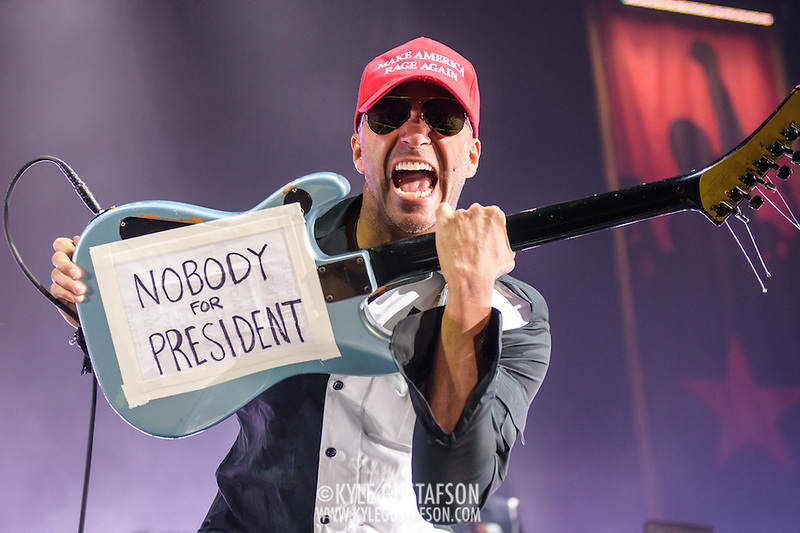 Perhaps I has under-rated him due to the latter part of his Cypress Hill career, but man, it was so cool to hear him do “Hand on the Pump.” Tom Morello was a whirlwind of limbs and riffs over on his corner of the stage. I had a hard time tearing myself away from him to shoot everyone else. He kept posing and giving everyone great shots, so I just kept on taking them. Not sure how many more dates there are on the tour, but you should definitely check them out if you’re even mildly interested. I scored a great seat for just $20.